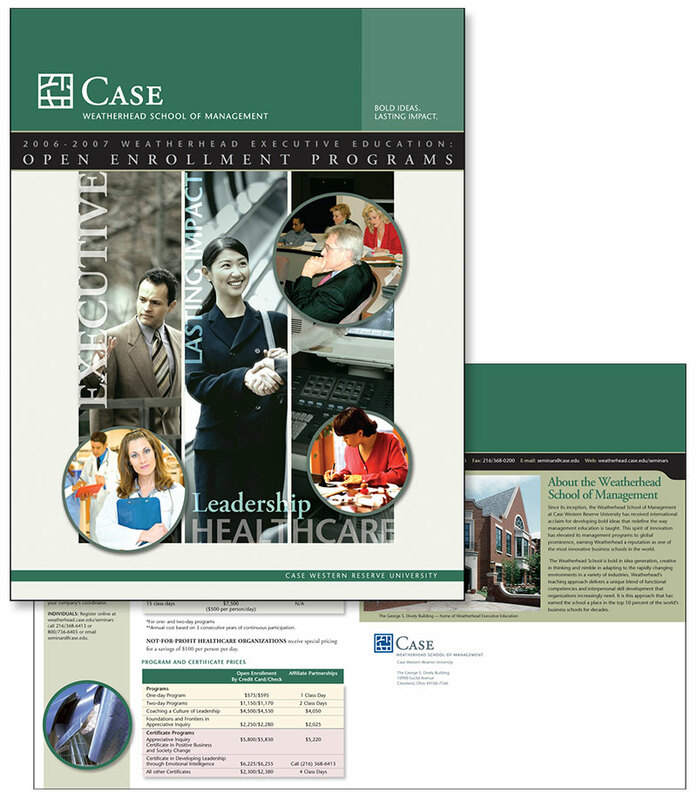 Click to enlarge CWRU School of Weatherhead Management commissioned me to design a promotional brochure for it’s new leadership and management programs. 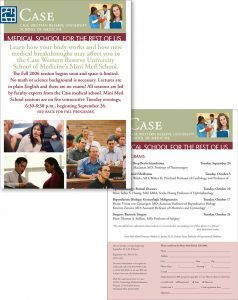 Keeping within their existing branding, I pushed the envelope a bit and designed a very well-received brochure mixing in some stock photography with the few shots that they had at that time. 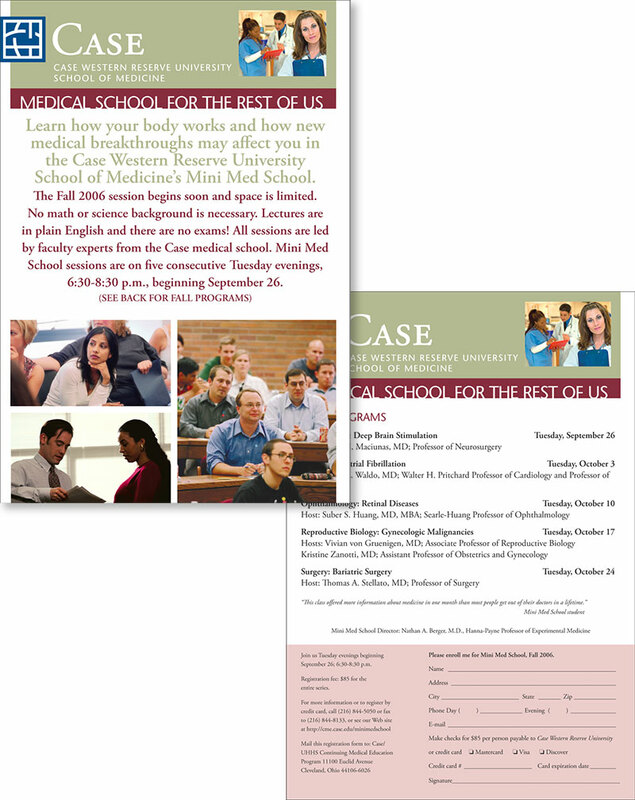 A sample of some fairly common promotional materials that I created on occasion for Case. I also used to produce a 24 page class catalog annually. But, as with much of the other outsourced work, they eventually brought it in house.